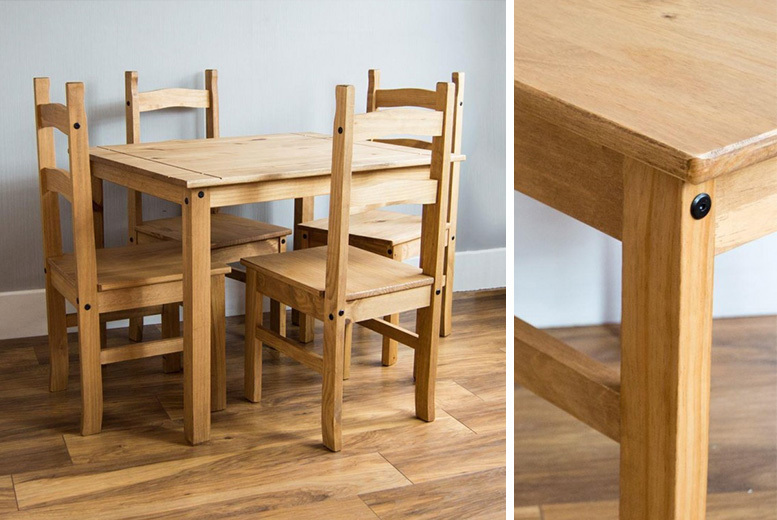 Get a dining table and matching chairs. Choose from a two-seater or four-seater set. Made from solid, durable Corona pine. With a distressed wax finish. Perfect for dining in style!